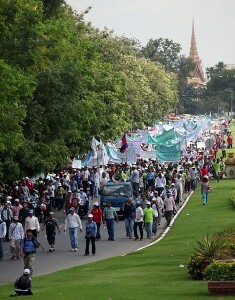 Global Voices reviews the May 1, 2013 Labor Day protests in Cambodia, Philippines, Indonesia, and Singapore. 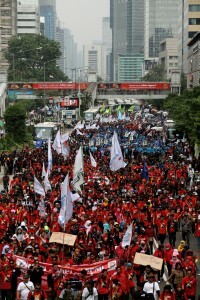 The rallies, which were organized to echo the various demands of workers and advocacy groups, were relatively peaceful across the region. 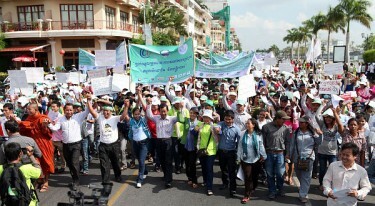 In Cambodia, more than 6,000 garment workers were joined by students, NGOs, and urban poor residents in Phnom Penh City who marched from the Freedom Park to the National Assembly calling for living wages and improved working conditions. 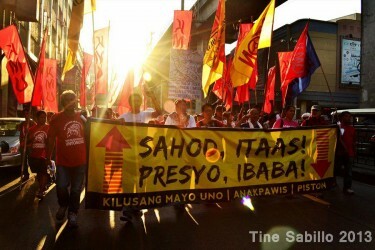 We mark the 127th International Workers’ Day and its 110th celebration in the Philippines with a nationwide protest condemning the rabidly anti-worker and pro-capitalist regime of Pres. Noynoy Aquino. 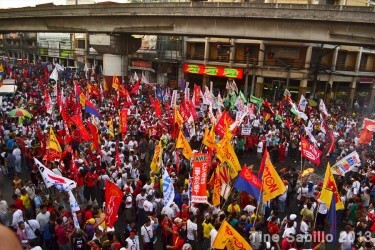 Aquino has again rejected workers’ calls for a significant wage hike, the junking of contractual employment and a stop to trade-union repression. 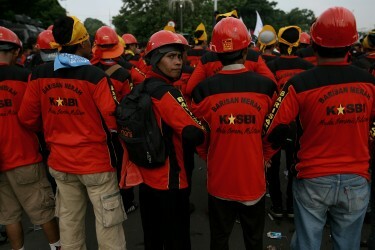 He has bragged about non-wage benefits and his government’s efforts at creating jobs. We realised that we are also creating another piece of history in Singapore here as so far no one has managed to organise a labour day event from the ground up – ever and we are proud to be able to do so for the first time! 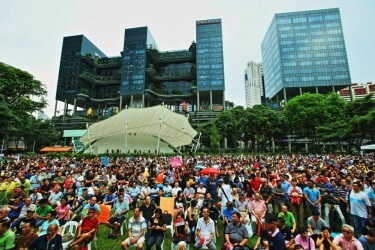 The event is a sequel protest to the February action which gathered thousands of Singaporeans opposed to the government’s population policy paper. 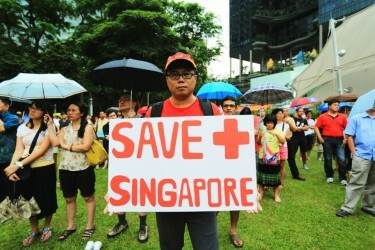 In this video, Singaporeans explained their reasons for organizing and joining the action.